There are many misperceptions about arts activities. You may think that creative process is advantageous only for those gifted. It’s untrue! Once you’re interested in art, you may not sculpt or paint like a master. We all have an innate need for personal expression. But the finished artwork is a matter of secondary importance in the therapeutic virtue of art. It primarily aims to help you become a happier and healthier person. 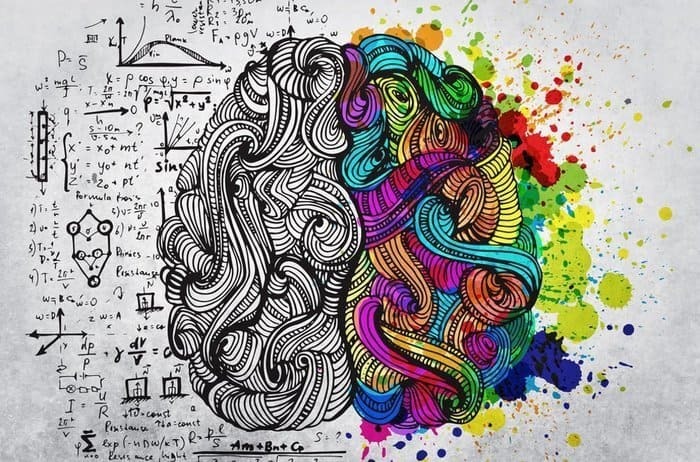 Art is a surefire way to boost brain function. Creativity improves your efficiency and keeps work quality at the high level. The arts cultivate problem-solving skills. In contrast to the exact sciences, creative tasks don’t have universal solutions. You learn to think critically and develop your unique approach. Let’s say you like literature: You engage in this activity at your own level, and you write essays, short stories or poems. The creative process encourages personal responses and ideas. You see things in new and different ways. You start to think unconventionally, break boundaries and go beyond the provided information. How can I express emotions through my dance? How should I play this character? You get multitude options to convey ideas, you think about the problem from a broad range of perspectives, and you learn to make choices and decisions. Such abilities are vital for a burgeoning entrepreneur, regardless of the field. What is more, consider how to get revenue from your hobby. Are you good at cooking, creative writing or visual arts? Consider the catering industry, companies like Essay Service Online or become a web-designer. Painting, writing, crafting and playing musical instruments are relaxing hobbies. They lower stress level. Creative activities offer a distraction; they serve as an escape from daily routine and problems your mind is trying to deal with. When you dive into creation, you enter the state of flow (also known as being in the zone). Hours feel like minutes: It’s a phase of full immersion and enjoyment in an activity. Harness this power to temporarily push aside all your nagging thoughts and worries! Consider adult coloring books. It is a growing international trend for stress relief. Many art therapists support this activity. They believe it helps you relax and boost mental clarity. Maybe it is something go-to for you. Several studies on art education indicate that it helps to develop valuable critical thinking skills. Individuals become good analyzers, learn from mistakes, and make balanced decisions. What is more, art develops imagination and aesthetic sense. In the everyday routine, you discover beauty in various forms. Involvement in any art leads to practicing aesthetic inquiry. You connect art to your personal and social life. From then on, aesthetic awareness develops in whatever you do. Art is spontaneous. But it takes a bit of effort to foster, grow, and develop creativity. If you practice thinking creatively, it will come naturally to you later. Your day job performance only benefits from this. In creative activities, the working process is exciting and rewarding. Learn to take pleasure in your regular job either. Think of the ways to make it more inspirational: Art teaches you to express individuality in your business engineering and enjoy problem-solving. Establish favorable conditions for creativity to flourish. The ability to set up the environment will also transfer to your business. Creative approach helps you to find organizing solutions. In acting, singing or painting, focus is imperative. Art nurtures attention to everything that surrounds you, and it teaches you to concentrate on details. The brain has neural pathways responsible for attention. When you have creative hobbies, the efficiency of your attention networks increases. Also, the general level of intelligence and cognition also increases. Creative activities provide a wide range of psychological benefits. Every time you learn something new, your brain builds new connections between neurons (brain cells). The intelligence depends on the number and strength of these connections. Contrary to common opinion, creativity does not involve a single brain region or a single side of the brain. Art activities boost a complicated process in which both hemispheres communicate with each other. Develop a new skillset – it’s simple and effective way to keep your brain healthy! Art gives you freedom of self-actualization. You get rich insights into thoughts and feelings you may not even be aware you had inside you. It helps to explore your interests and strengths. Making sketches, keeping a journal or writing essays on different topics can be revealing. Visit a drama club. It’s a chance to step outside your comfort zone, especially for a shy person. As you improve and see the progress, your confidence will keep growing. Hang your latest painting on the wall to see that it’s true. Get up on stage and sing for your family or friends. You feel like having accomplished something! Write short stories or describe your feelings through the colors. Make photos of what you see around. Some creative activities are craft-like: it can be making collages, sewing, knitting, embroidery, etc. May art bring you joy! Do you use art to bring inner harmony? Leave a comment below.